The battery life of our Android phones is one of our biggest concerns. We want to use our smartphones throughout the day without charging and we often take drastic steps to achieve this. But the culprit of excess battery consumption could be an application – like Pokémon Go. 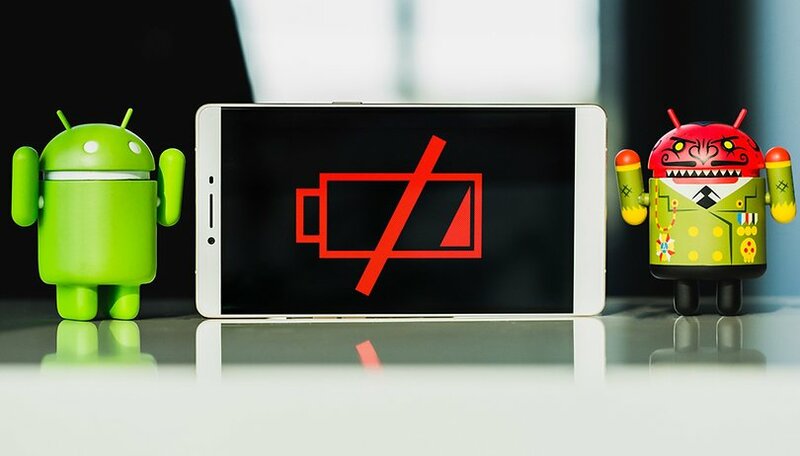 Because it's not always easy to identify these battery-draining apps, this article explains the best way to detect them and what to do once you have. Occasionally, applications that we consider useful or that we use frequently during the day, consume too much battery. Maybe you have a high-end device and this does not alter its performance, or goes unnoticed. But given that smartphone batteries decrease in effectiveness over time, efforts to reduce battery consumption will pay off in the long run. To discover which apps are consuming most battery, go to your Android Settings menu and hit Power Management (or just Battery, depending on your device) and you will see a list of apps and features. Once you've found an application which consumes a lot of battery, you can decide what to do with it. Go to Settings hit Applications, find the app in question and tap it. You can opt for a less aggressive solution like deleting some of the data or clearing the cache of the app to solve the problem. But often the most effective solution is to force-stop the app and restart it. After you've done this, monitor the application like a policeman stalking a suspect. Alternatively, you may be fed up with the application and seek a lighter, more stable equivalent in Google Play. Or you may simply decide that you don't want to use it anymore. In any case, from the same app screen you can uninstall the app and be safe in the knowledge that it won't be consuming any more battery unnecessarily. What if an app is not responsible? It often happens that it's not a specific application that's draining your battery, but rather is another smartphone function. If it's the screen, the solution is simple: set it to a lower brightness level. You won't always need it to be bright enough to see in sunlight. Also, consider shortening the length of time it stays active for. It's normal for the screen to be at the top of the list of functions that are draining battery. But if you see an excessive percentage, heed the advice I've given above. I cannot give you a precise percentage you should consider alarming because it depends on your own usage. Just try to adjust the screen brightness according to the situation. Hopefully, the tips above will help you get through the day without having to charge your device. Do you have problems battery-draining apps? How did you solve it? Let me know in the comments. This article was translated from an article on AndroidPIT.es. Sometimes it is the cumulative effect of a lot of apps running background processes that tend to drain the battery. They best option is to keep uninstalling unused or rogue apps frequently. The best way to judge is - if I haven't opened an app in a month, I probably don't need it at all. Apps are sneaky, but it's the screen that's the biggest loser. The industry has to come up with a more efficient tech. Amoled(oled) , when first created, had promises of extreme power savings, over existing tech at the time. Somehow that claim hasn't been truly realized. My Galaxy S5 is draining fast (5% an hour) even when screen off. Already closed all apps, cleaned memory, background power heating apps and notification, with the help of DU battery saver. i switched off all radio signals, except phone. The last thing I suspect is phone signal, as in airplane mode, consumption is 0%, or maybe 1% every 3-4 hours. I think we can all agree upon that Pokémon Go is the real culprit in battery theft here. You can disable some features in the Google, Goolge+, Google Photos to save some battery. I would like to know which one?? Google and samsung apps are critical to perform and which are inflate and is safely deleted as my Galaxy grand is having battery issues. There is Google+, Play books, Play Movies, Play Music, Play Newsstand. Then there is Samsung Readers Hub, Samsung Link, Samsung Music Hub, Samsung S Planner... Can any of these be deleted without impacting anything else? Sure.... Some of them cannot be deleted, BUT you can disable them. When there is an app update, it will re-enable those, but you can re-disable them. Yes.You would have to first root your device to uninstall Google apps. If you can't, then head to Settings->Applications and tap on the concerned app. Then select Disable. Now, the app won't run anymore until you enable it again. As you have stated, there are many articles about the subject of battery drain, but this one was easy to follow and had some good tips. I went from battery life of around 12 hours to more than a day. Usage didn’t change, Settings did. Thanks. how do you get rid of google apps? You cannot, simply disable those... and disable auto update from google play, as an update will re-enable them. Exactly. By now and after all (largely identical) articles here on this matter, we all know what to do about non stock apps that consume too much power. It's the excessive power consumption of Android System processes that most people will find hard to firstly detect and secondly solve. What solutions would Android Pit recommend to DETECT and solve these processes? Have a new Samsung Tab 2 2016 - 8inch. It runs Marshmallow, where is 'Doze'? Go to settings and then tap 'Battery' (this may be named different on Samsung devices). Tap on the three dots at the top right of the screen and select 'Battery Optimization'. This will give you a list of apps that are 'dozed' (suspended) when your device goes to sleep. From here you can also select which apps you don't want dozed. What if its Android System or Kernel causing the drain? Ever since I updated my Samsung Galaxy S5 to Marshmallow 6.0.1 from Lollipop my battery life has got about 30% worse and the Android System and Kernel are top of the list. I have tried a factory reset but that didnt solve it. Same here. Sometimes I look at that list and all it shows is something like Facebook or Pokemon Go, and no duh, because I was just using one of them a lot that day or something. But what do we do when it's the OS itself, or something that's out of our hands? Yeah, this has happened to me after every major update: battery life is never improved on my phones despite claims that it will get better. Factory reset is serious measure, if that hasn't fixed it then I'm not sure what will. With the S5, TouchWiz and the internal components were originally optimized for KitKat. Two Android and TouchWiz versions later, I'm not really surprised to hear that things aren't running smoothly (sadly). It's disappointing but sometimes it's just the price you pay on Android. This fragmentation issue is a big problem.